The privately owned orchard hotel in san francisco, calif., Was built in 2000 as a discreet retreat that attracts primarily upscale corporate clientele. This impressive boutique hotel commands a central location where guests are within steps of san francisco's major attractions. Cable car stops, chinatown gate, nob hill, union square and the theater district lie within a three block radius of the hotel. Moscone convention center and san francisco museum of modern art are one half mile away. San francisco international airport is 15 miles from the hotel. the nonsmoking orchard hotel features a warm and inviting lobby decorated in rich hues of crimson and gold. The contemporary euro asian d�cor is augmented with sculptures and photographs that lend a classic aura. Complimentary european breakfast buffets are offered daily, and the hotel's highly touted vignette restaurant and bar opens its doors for lunch and dinner. Restaurant fare includes delectable american dishes spiced with french and italian influences. Morning town car service to the financial district is complimentary. The hotel offers a complimentary fitness center. A complimentary dvd library is at guests' disposal, or patrons may stay abreast of current events from a variety of complimentary newspapers available in the lobby. The hotel provides a complimentary business center and high speed and wireless internet access. the 10 story orchard hotel offers 105 guestrooms that feature balinese wood furnishings and entertainment centers with surround sound cd/dvd players. Additional guestroom amenities include complimentary high speed internet access, multi line telephones, minibars, designer toiletries and coffeemakers. 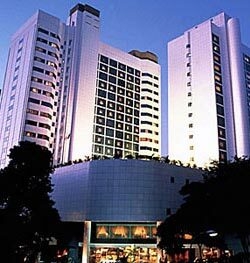 leisure and corporate travelers appreciate the orchard hotel's ideal location, sophisticated atmosphere and extended services.